At the Law Offices of Robert Olkowitz, P.C., we believe that working people are the backbone of this country. They are the most in need and deserving of the highest-quality legal representation and immediate relief from an injury to support families and maintain their lifestyles. For over 30 years, our Red Bank attorneys have been there to fight for those injured and disabled in New Jersey. In 1995, Robert Olkowitz founded the law firm to continue his advocacy for individuals and their loved ones needing legal help with Workers’ Compensation, Personal Injury, and Social Security disability appeals. The firm has an experienced team of trial lawyers dedicated to his mission. Together, our Monmouth and Ocean County workers’ compensation and personal injury lawyers use their knowledge of best practices and common pitfalls to attain the best possible outcomes for you. At our firm, we are always available to speak with you. You receive personal attention and sound legal counsel from the initial consultation onward. 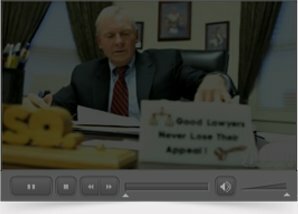 Our focused expertise allows our litigators to be aggressive in the courtroom. We never settle for what the insurance company first offers and are committed to fighting for the full value of our clients' cases. The Law Offices of Robert Olkowitz, P.C. has earned the respect of both clients and the legal community. Over 95 percent of our clients have consistently been referred by satisfied clients or other attorneys. Certified by the Supreme Court of New Jersey as a workers’ compensation and civil trial lawyer, Robert Olkowitz is recognized as a leading workers’ compensation attorney throughout New Jersey -- and has also been selected as one of New Jersey’s Super Lawyers since 2009. When you need the services of a skilled and respected personal injury lawyer, work with the Law Offices of Robert Olkowitz, P.C. by calling 732-741-7444 or contacting them online. Committed to you and your legal needs, you pay no attorney's fees unless you collect from your lawsuit or settlement. We're located in Red Bank and serve clients throughout Monmouth and Ocean counties in New Jersey.